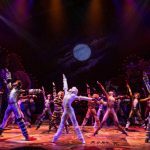 Producers The Shubert Organization and The Nederlander Organization announced today that CATS, one of the biggest hits in theatrical history, will return to Broadway this summer at the Neil Simon Theatre (250 West 52nd Street). Preview performances will begin July 14, with an official opening set for August 2, 2016. Since its world premiere, CATS has been presented in over 30 countries, has been translated into 15 languages, and has been seen by more than 73 million people worldwide. Originally directed by Trevor Nunn with choreography and associate direction by Gillian Lynne, scenic and costume design by John Napier, lighting design by David Hersey, and sound design by Martin Levan, CATS opened in the West End in 1981. 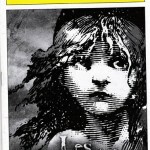 The same creative team brought the musical to Broadway in 1982 where it won seven Tony Awards, including Best Musical. Both the original London and Broadway cast recordings won Grammy Awards for Best Cast Album. CATS hit song “Memory” has been recorded by over 150 artists from Barbra Streisand and Johnny Mathis to Liberace and Barry Manilow. The Tony Award-winning Best Musical held the title of longest-running musical in Broadway history until it was surpassed in 2006 by Lloyd Webber’s The Phantom of the Opera. 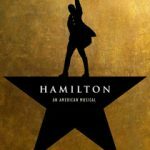 The original Broadway production closed on September 10, 2000 and is currently the fourth longest-running show in Broadway history. This marks the first New York revival of the beloved musical. This new production of CATS is licensed by The Really Useful Group. Nina Lannan serves as Executive Producer. Andrew Lloyd Webber (Composer). Andrew Lloyd Webber is the composer of some of the world’s best known musicals including Cats, Evita, Joseph and the Amazing Technicolor Dreamcoat, Jesus Christ Superstar, The Phantom of the Opera, and Sunset Boulevard. His latest musical, a stage version of the movie “School of Rock,” opened on Broadway in December 2015. As theatre producer he has presented not only his own shows but others including the Olivier award-winning La Bete and Daisy Pulls It Off. As composer he has received many awards including seven Tony Awards, seven Olivier Awards, a Golden Globe Award, an Oscar, two International Emmy Awardss, the Praemium Imperiale Award, the Richard Rodgers Award for Excellence in Musical Theatre, a BASCA Fellowship, the Kennedy Center Honor and a Grammy Award for Best Contemporary Classical Composition for “Requiem,” his setting of the Latin Requiem mass which contains one of his best known compositions, “Pie Jesu.” He owns six London theatres including the Theatre Royal, Drury Lane, and the London Palladium. He was knighted by Her Majesty The Queen in 1992 and created an honorary member of the House of Lords in 1997. The Andrew Lloyd Webber Foundation has become one of Britain’s leading charities supporting the arts and music. Trevor Nunn (Director). From 1968 to 1986, Nunn was the longest-serving artistic director of the RSC, directing most of the Shakespeare canon, as well as Nicholas Nickleby and Les Misérables. From 1997 to 2003, he was director of the National Theatre, where his productions included: The Merchant of Venice, Summerfolk and The Cherry Orchard, as well as Oklahoma!, My Fair Lady and Anything Goes. He has directed the world premieres of Arcadia, The Coast of Utopia and Rock ‘n’ Roll by Tom Stoppard, and of Cats, Sunset Boulevard, Aspects of Love and Starlight Express by Andrew Lloyd Webber. Other theatre credits include: Timon of Athens and Skellig (Young Vic); The Lady From the Sea (Almeida); Hamlet, Richard II and Inherit the Wind (Old Vic); King Lear and The Seagull (RSC); Scenes From a Marriage (Coventry and St James Theatre); A Little Night Music (London/New York); Cyrano de Bergerac, Rosencrantz and Guildenstern Are Dead and Kiss Me, Kate (Chichester Festival Theatre); Birdsong (West End); Flare Path, Rosencrantz and Guildenstern Are Dead, The Tempest and The Lion in Winter (Theatre Royal Haymarket); A Chorus of Disapproval (West End); All That Fall (London/New York) and Relative Values (Theatre Royal Bath/West End). Opera productions include: Idomeneo, Porgy and Bess, Così fan tutte and Peter Grimes (Glyndebourne and Salzburg) and Kátya Kabanová and Sophie’s Choice (Royal Opera House). Television work includes: Antony and Cleopatra, The Comedy of Errors, Macbeth, Three Sisters, Othello and King Lear; and on film: Hedda, Lady Jane and Twelfth Night. Gillian Lynne (Original Associate Director and Choreographer) A seminal influence on British dance and musical theatre, Dame Gillian Lynne started her career in 1942 at age 16 before joining the Sadler’s Wells Ballet Company in 1944 where she became a soloist performing at the newly opened Covent Garden Opera House as detailed in her autobiography A Dancer in Wartime. Her many roles with the soon-to-be renamed Royal Ballet included the Black Queen in Checkmate, the Lilac Fairy in Sleeping Beauty and Queen of the Willis in Giselle. Following her successful performing career as the star dancer at the London Palladium and on early British TV, as well as being Britain’s foremost exponent of Jazz Dance, Lynne went on to be a leading director/choreographer of her generation. Notable ballet credits include A Simple Man, Lipizzaner and The Brontes for Northern Ballet, Journey for the Bolshoi Ballet, Some You Win for Irek Mukhamedov’s Company and Fool on the Hill for the Australian Ballet. Best-known for her ground-breaking work on Cats and The Phantom of the Opera, Lynne has directed over 60 productions in the West End and on Broadway, including the UK premiere of Jerry Herman’s Dear World in 2013. She has worked on 11 feature films and 100’s of television productions as producer, director, choreographer or performer. She has mounted productions of Cats across the world, including productions in New York, Vienna, Los Angeles, Amsterdam, Paris, Moscow, Sydney. Earlier last year she released a landmark exercise DVD aimed at mature audiences entitled Longevity Through Exercise and in October 2014 she recreated Miracle in the Gorbals for the Birmingham Royal Ballet. Lynne has received numerous accolades including two Olivier Awards – the first Award for Outstanding Achievement for her Choreography of Cats in 1981 – while in 2013 she was presented with a Lifetime Achievement ‘Special’ Olivier. Other awards include: Vienna’s Silver Order of Merit, Golden Rose of Montreux Award for The Muppet Show, Samuel G. Engel Television Award (USA) for her conceptual drama The Morte d’Arthur, a BAFTA for her dance drama A Simple Man which she directed for BBC TV, a Moliere Award and The Queen Elizabeth II Coronation Award from the Royal Academy of Dance who elected her Vice-President in 2012. Lynne was honored with CBE in 1997 and made DBE in the 2014 New Years Honours List for her services to Dance and Musical Theatre, the first woman to be honored in this way. Andy Blankenbuehler (Choreography). 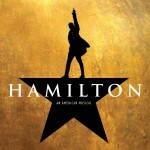 Mr. Blankenbuehler is proud to have choreographed the award winning musical Hamilton now running on Broadway. He won the 2008 Tony Award for his choreography in the Tony Award-winning Best Musical In The Heights (also Lortel, Calloway, Outer Critics and Drama Desk Award for Outstanding Choreography). 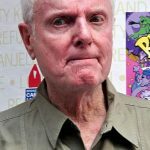 Other Broadway credits include the new musical Bring It On (Tony nomination for Best Choreography and Drama Desk nomination for Best Director), 9 To 5 (Tony nomination), The People In The Picture, The Apple Tree, and the recent revival of Annie. 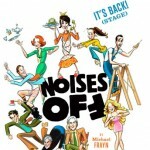 Other theatrical work includes the world premiere of the new musical The Bandstand at the Paper Mill Playhouse, FLY (Dallas Theatre Center), The Wiz (City Center Encores), Desperately Seeking Susan (West End), A Little Princess (Andrew Lippa), and the current national tour of Joseph And The Amazing Technicolor Dreamcoat. Upcoming projects include the new musical Only Gold with British singer/songwriter Kate Nash. Mr. Blankenbuehler has staged concert work for both Elton John and Bette Midler, and he conceived, directed and choreographed the hit Caesars Palace production Nights On Broadway. On television, his work has been seen on “America’s Got Talent,” “So You Think You Can Dance,” “The Sopranos,” MTV, “Sesame Street” featuring Janelle Monae, as well as many national commercials. As a performer, Mr. Blankenbuehler has danced on Broadway in Fosse, Contact, Man of La Mancha, Saturday Night Fever, Steel Pier, Big and Guys and Dolls. He has toured the US and internationally with West Side Story and Andrew Lloyd Webber’s Music of the Night. He teaches across the country with the New York City Dance Alliance. Originally from Cincinnati, Ohio, Mr. Blankenbuehler resides in New York City, with his wife Elly and two children, Luca and Sofia. John Napier (Scenic & Costume Design). John studied fine art at Hornsey College of Art in the early 60s and subsequently theatre design at the Central School of Arts and Crafts under Ralph Koltai. Musical theatre credits include: Cats, Starlight Express, Les Misérables, Miss Saigon and Sunset Boulevard. These productions have been presented on Broadway and around the world. Other designs for the West End include: Time, Children of Eden and Jesus Christ Superstar. John designed the Captain EO video, starring Michael Jackson for Disney. He created and co-directed the spectacular Siegfried & Roy Show at the Mirage in Las Vegas, followed by Steven Spielberg’s film Hook. He is an associate designer of the Royal Shakespeare Company. Notable productions for the RSC include: Macbeth, The Comedy of Errors, King Lear, Once in a Lifetime, The Greeks, Nicholas Nickleby, Hedda Gabler, Peter Pan and Mother Courage and Her Children. His work at the Royal Court includes: Disconnected, Lear, Big Wolf and Cancer. Productions for the Royal National Theatre include: The Party (Olivier’s last performance at The Old Vic); Equus, later seen worldwide; Trelawny of the ‘Wells’, An Enemy of the People, Peter Pan, Candide and South Pacific. Opera credits include: Lohengrin and Macbeth for the Royal Opera Covent Garden; Don Giovanni (WNO); Idomeneo for Glyndebourne; The Devils for ENO and Nabucco for the Metropolitan Opera. Other designs include: Birdsong (West End); Burning Blue at the Haymarket (1996 Olivier Award for Best Set Design); The Tower and Who’s Afraid of Virginia Woolf? (both at the Almeida); Martin Guerre (West Yorkshire Playhouse and tour); the musical version of Jane Eyre on Broadway; Skellig at the Young Vic; Aladdin at The Old Vic, and the 2007 production of Equus. Design awards include: four Olivier Awards, a BAFTA, and five Tony Awards for Nicholas Nickleby, Cats, Starlight Express, Les Misérables and Sunset Boulevard. Mr Napier is a member of the American Academy of Achievement, was elected Royal Designer for Industry in 1996 and is an honorary fellow of the London Institute. Natasha Katz (Lighting Design) is a New York based lighting designer who has had the pleasure to work throughout the world. Recent Broadway credits include School of Rock – The Musical, An American in Paris (Tony Award), Skylight, Gigi, The Glass Menagerie (Tony Award), Aladdin, Once (Tony Award), Motown, Follies, Coast of Utopia: Salvage (Tony Award), Aida (Tony Award), Twelfth Night and Beauty and the Beast. She recently designed The Iceman Cometh at BAM and the Goodman Theatre. Her varied career has led her to design lighting for all aspects of entertainment including dance and opera companies, concerts, international theatres, regional theaters, Off Broadway, Las Vegas, TV and permanent lighting installations. Mick Potter (Sound Design) has designed over 100 productions worldwide including these West End and Broadway musicals: School of Rock – The Musical, Saturday Night Fever, Bombay Dreams, The Woman in White, Zorro, The Wizard Of Oz, Sister Act, Evita, Love Never Dies, The Phantom of the Opera, Les Misérables, Betty Blue Eyes, From Here to Eternity, and Miss Saigon. 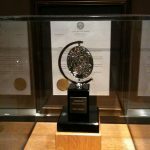 Awards include an Olivier for The Woman in White London 2005, Parnelli Award for The Phantom Of The Opera Las Vegas 2006, Green Room Award for Love Never Dies Australia 2011,Tony nomination for Les Misérables on Broadway 2014, Helpmann Award for Les Misérables in Australia 2015. The Shubert Organization (Producer). Since its founding in 1900, The Shubert Organization has been in the forefront of the American theatre. Under the leadership of Philip J. Smith, Chairman, and Robert E. Wankel, President, the Shubert Organization owns and operates 17 historic Broadway theatres and six Off-Broadway venues. Over the years, the company has produced and co-produced hundreds of Broadway plays and musicals, including the original Broadway production of CATS, Dreamgirls, Sunday in the Park with George, Amadeus, The Real Thing, Children of a Lesser God, The Grapes of Wrath, Equus, The Audience, The Elephant Man, The Curious Incident of the Dog in the Night-Time, Hedwig and the Angry Inch, and School of Rock –The Musical. The Nederlander Organization (Producer) is a production division of the multinational theatrical entities owned by James M. and James L. Nederlander. Prominent for three generations in management and operation of theatres and productions of distinguished entertainment, they have produced innumerable plays and musicals, operas, ballets and concerts and own a notable chain of legitimate theatres. 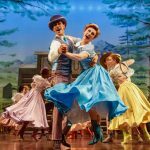 Currently in their Broadway venues are Wicked, Disney’s The Lion King, Hamilton, ON YOUR FEET!, An American In Paris, Spring Awakening and Finding Neverland. The Really Useful Group (Licensor) is Andrew Lloyd Webber’s theatre producing and rights licensing company and controls the theatrical rights for all of Andrew’s works, including The Phantom of the Opera, Cats, Jesus Christ Superstar, Evita and Sunset Boulevard. The Really Useful Group reached over 20 million people across the globe last year from live theatre and concert audiences, cinema goers, television viewers and music fans, to social media and art lovers. 2016 sees The Really Useful Group continue to work across film, television and theatre as it produces and develops new projects and partnerships worldwide alongside its ongoing work in education, amateur licensing and music publishing.